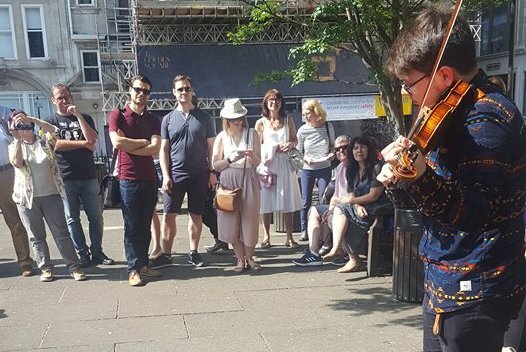 If we were to give a definition of an extraordinary experience, then it would include hearing the song ‘Hubava si moia goro’ performed by Brits on a sunny day, next to a garden with Bulgarian roses in central London. This experience became a reality on a sunny Saturday afternoon in Golden Sq., Soho. 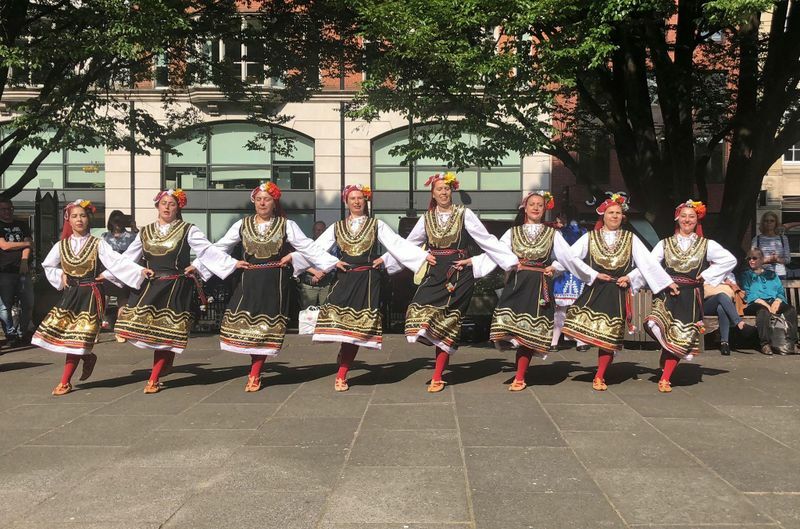 The square was host to traditional Bulgarian food tastings and performance that aimed to build a cultural bridge between the Bulgarian and other London diasporas. Over 200 Londoners, both invited guests and random passers-by attended. “It is precisely through culture, that we, Bulgarians living in London, manage to reach out to London in an impactful way” said project lead, Boyko Boev. Boyko is also the founder of a Bulgarian group, that has united over 400 Bulgarians in London for over 4 years, by means of exploring the city we all live in. 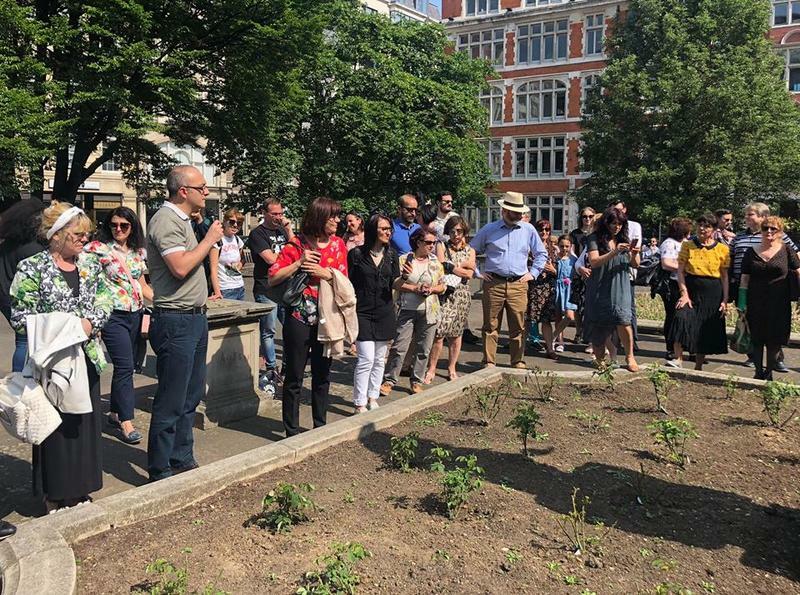 Tim Barns, Westminster City councillor, said that he is extremely pleased with the fact that a Bulgarian group has gifted London with roses. These roses will soon begin to blossom. Political journalist, David Henke, called the planting of roses a “love bomb” aimed at Londoners. He highlighted the unique peer review research that the London Bulgarian Association conducted as an additional part of the Mayor’s Citizen Led Engagement project. Henke expressed his admiration for the high quality of this research, led by Bulgarian academics from both British and American universities, which overturned some tabloid media assumptions about Bulgarians migrants. The young violinist Hristo Dunev performed the Little Toccata by the Bulgarian composer Peter Hristoskov, while the actor Miro Kokenov performed a part of the Bulgarian play ‘Gadulkata’. Further performances included traditional Bulgarian folklore dances by ‘Kitka – Barking’ and vocal symphonies by ‘EnChantica’, lead by Zori Burner. 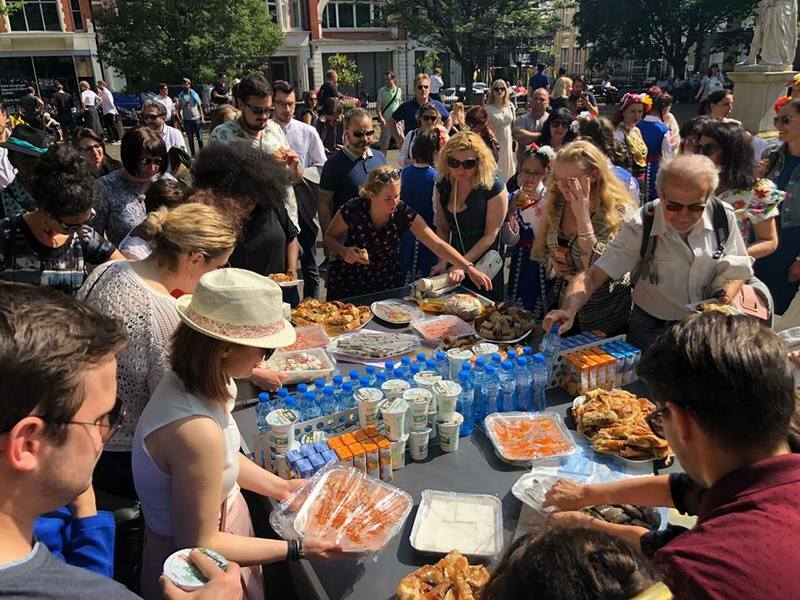 Many Londoners were able to try, for the first, Bulgarian food as various as the traditional ‘Shopska’ salad and the lesser known spreads ‘kiopolu’ and ‘liutenitsa'. Deirdre McGrath, Community Engagement Officer with the Greater London Authority stressed on the fact that with the success of this project, the Bulgarian diaspora has achieved its aim of becoming a visible part of London. The GLA is looking forward to similar initiatives of the Bulgarian diaspora. The party was part of the London Bulgarian Association's project aiming at connecting the Bulgarian diaspora with other Londoners which was supported by the Mayor of London.